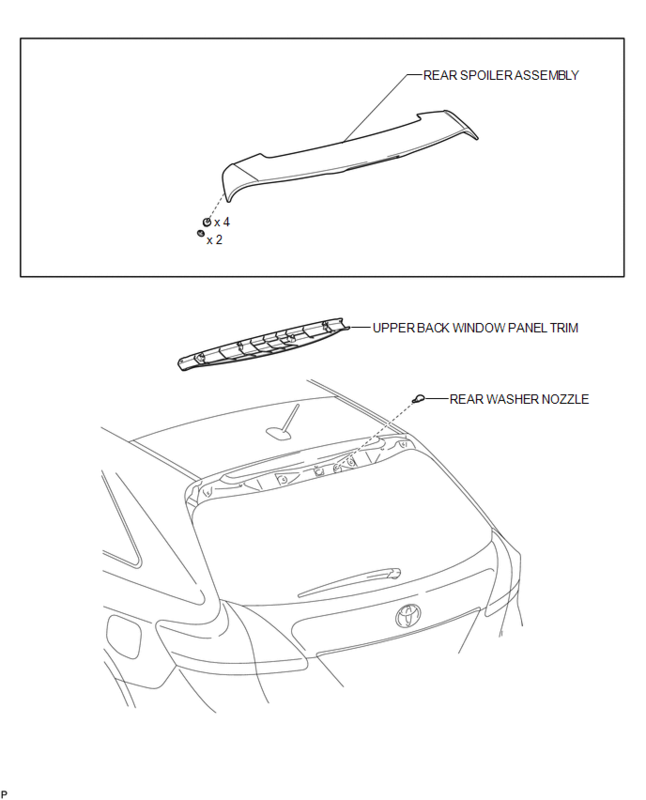 (a) With the engine running, check where the washer fluid hits the windshield. 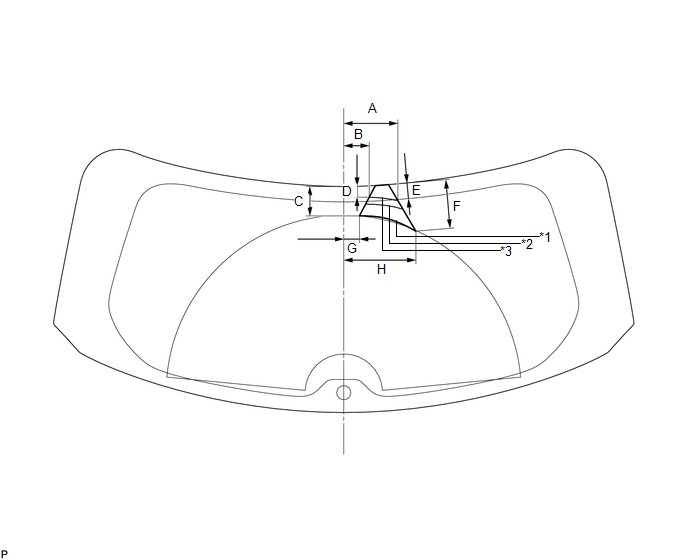 Washer fluid hits the windshield in the area shown in the illustration. 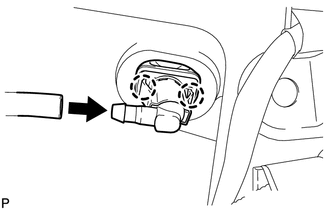 (a) Using a screwdriver, adjust the direction of the rear washer nozzle. Do not use a safety pin or other pointed tools. Doing so may damage the inside of the washer nozzle. Use a thin-bladed screwdriver with an approximately 1 mm (0.0394 in.) thick tip. 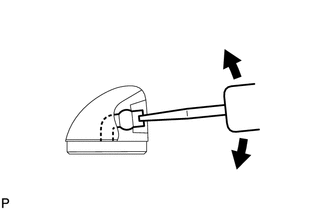 (b) Disengage the 2 claws and remove the rear washer nozzle. 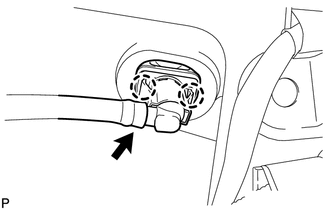 (a) Engage the 2 claws to install the rear washer nozzle. (b) Connect the washer hose.